Green Valley Country Club Vistas Subdivision is in the Green Valley off I-19 south of Tucson, AZ. Desert Diamond Casino is a short drive north of Green Valley Country Club Vistas Subdivision. Tubac is a few minutes south of Green Valley Country Club Vistas Subdivision. Wisdom’s Cafe in Historic Tumacacori, AZ is a great spot to eat. But watch the margaritas, they can be lethal. Families living in Green Valley Country Club Vistas Subdivision are served by the Continental School District. 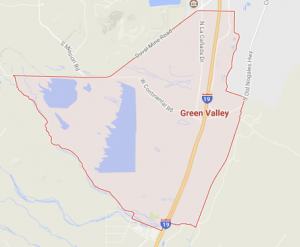 Considering A Home In The Green Valley Country Club Vistas Subdivision? Are you thinking of buying a home in the Green Valley Country Club Vistas Subdivision or another area of Tucson? Finding the right home can be a challenging process. But we can make the process much less stressful for you. Thinking About Selling A Home In The Green Valley Country Club Vistas Subdivision? Our website provides information on communities and neighborhoods in the greater Tucson area. Want more? Give us a call – 520-940-4541. We are ready to answer your questions and help you get the information you are looking for.